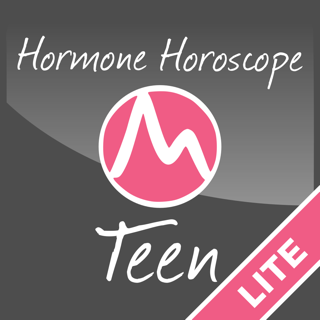 • The app Nylon Magazine calls "life-changing" and The Telegraph calls "overdue genius"
The Hormone Horoscope App "Lite" is an easy-to-use menstrual cycle tracker that gives you something no other app can: The daily Hormone Horoscope--a forecast that tells you what your mood, energy, love life, spending habits, sleep quality, health and much more will be based on the levels of your hormones for each day. On Day 7 of your monthly cycle, rising estrogen makes you more upbeat, energetic, confident, adventurous and creative--making this a great day to tackle a big task, take a trip or brainstorm. On Day 18, rising progesterone saps your pep and makes you quieter and more cautious--making you prefer low-key activities close to home. On Day 24, plunging estrogen can cause a bit of moodiness and irritability--but, you're also burning up to 30% more fat when you exercise. As three key hormones (estrogen, testosterone and progesterone) rise and fall during your cycle, research shows they impact your brain and body in a wide variety of ways. Because your hormones repeat the same up and down pattern every cycle, the effects your hormones have on you also repeat the same way cycle after cycle--making your moods, energy and more easy to predict! 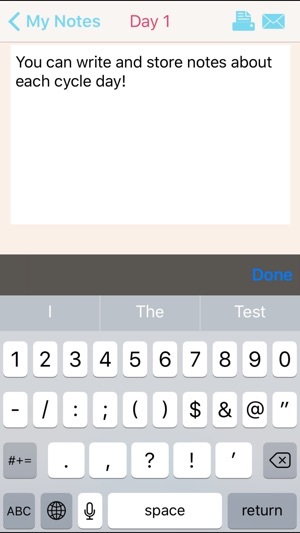 Tap the Settings tab, then input a couple of details about your cycle. That's it! WHY OPT FOR THE "PRO" VERSION? 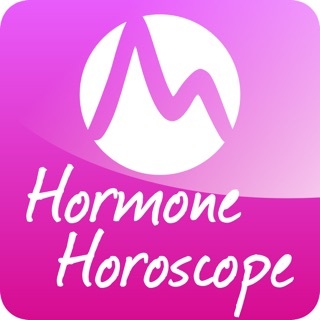 This app was created by Gabrielle Lichterman, founder of Hormonology, author of 28 Days: What Your Cycle Reveals about Your Love Life, Moods and Potential and a longtime women's health journalist. Her mission to educate girls and women about the many ways their hormones impact them so they can make every cycle better. 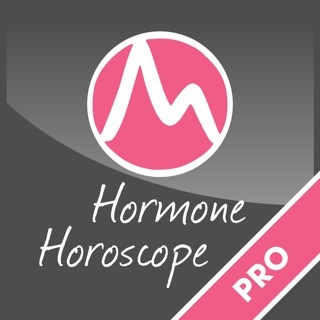 This app is not intended for women who are pregnant, breastfeeding, menopausal, taking hormone medications or hormone birth control or have a health disorder that impacts hormones, such as PCOS. 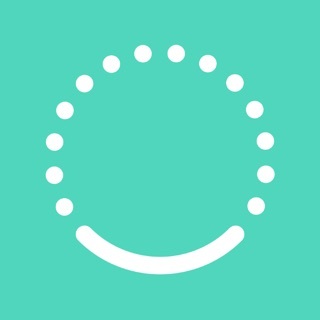 This app is not intended to help users avoid pregnancy or become pregnant. If you're experiencing any problem with this app, I want to know. My team and I work quickly to fix issues and provide updates to ensure you get the most out of your experience. 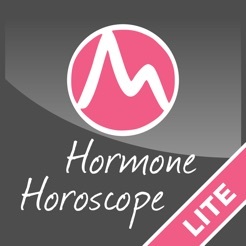 Send your feedback to Gabrielle@MyHormonology.com. - Fixed a crash some users were experiencing at app startup. I am absolutely obsessed with this app. 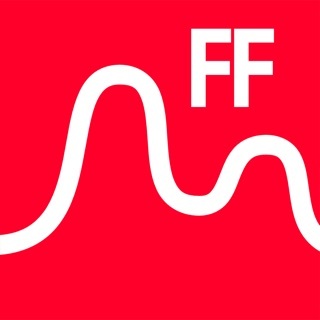 It is incredibly useful to be able to see the upcoming ups and downs of my cycle and to be able to plan accordingly. Simply becoming aware of what is happening inside helps TREMENDOUSLY to make me feel less at a loss as to why I feel the way that I do any given day. It helps me feel a bit more in control, in a way, and I don’t spend any time worrying about how I feel and why. I think it could be improved by customization of choosing which days one stops bleeding and ovulates, for those who know. 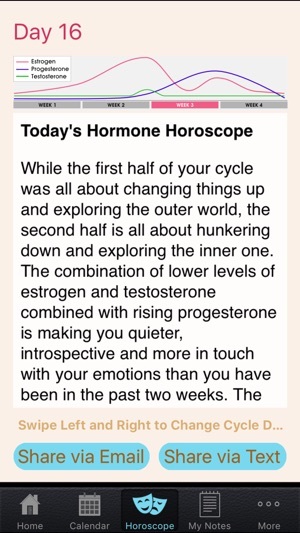 I have only used this app one month so far but I felt I may have ovulated a day earlier than it stated. Also, the general feel of the app could be a bit more streamlined and fun to look at. I loooove that there is no ads! 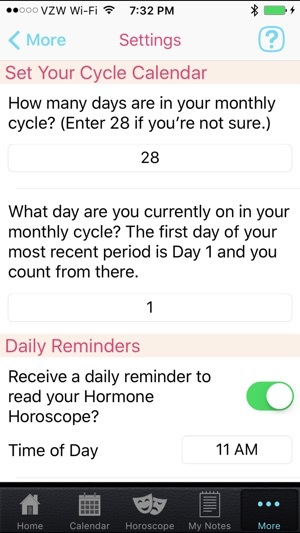 Pretty sure I’ve never written a review of an app before, but wow, this has been EXTREMELY helpful to me having a daily explanation of what is happening with my hormones. My cycle is about 24 days so I feel like im up high then down low very often and it’s been very comforting to finally understand and have some science behind my moods as a way to try to detach myself from them a little more easily. I reallllly appreciate this app so much. Thank you thank you. This info is very amazing and having it all in one place is great. My suggestion is to allow for setting the number of bleeding days rather than defaulting to seven. 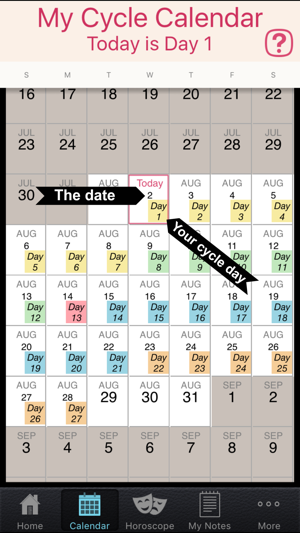 My cycle is only 22 days, which I set in the app, however, I only bleed for four days and ovulate on day six, not day eight like the default on the app. 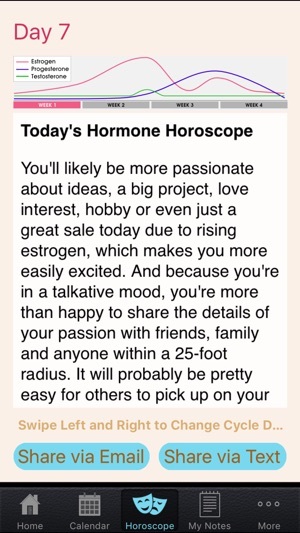 I'm sure this affects my hormones and setting the days more accurately would give me a clearer picture.